More than just a wide expanse of reflective glass, this mirror features a curved and flowing crown with an embellished pediment. 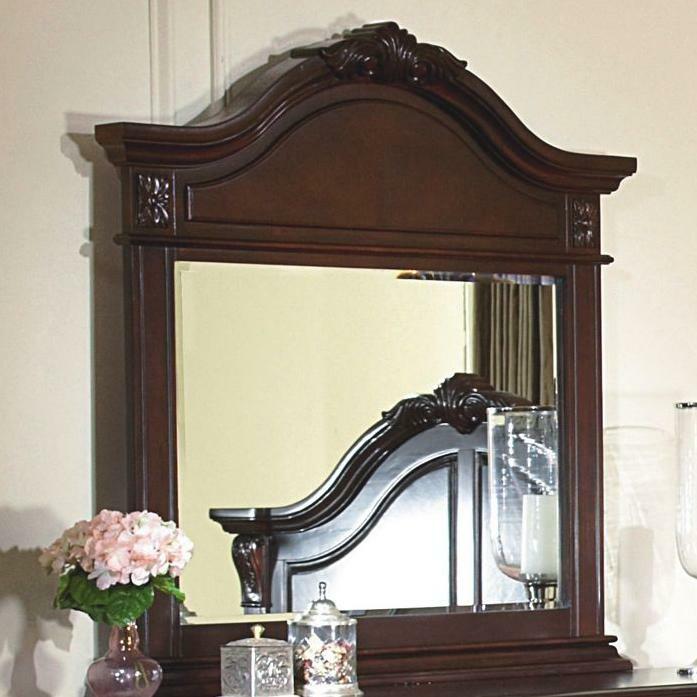 Adorn your dresser with this mirror and create a truly traditional and graceful atmosphere in your bedroom decor. 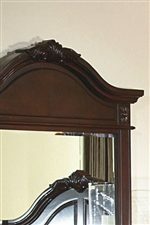 This mirror will surely help you effectively check your appearance in the mornings and in the evening before you go out. Enhance your home and your appearance with the Mirror in your bedroom. The Emilie Mirror w/ Decorative Pediment by New Classic at Michael's Furniture Warehouse in the San Fernando & Los Angeles area. Product availability may vary. Contact us for the most current availability on this product. 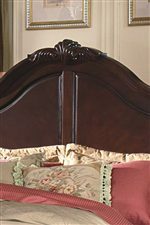 Finish A rich Tudor Brown finish creates a welcoming ambiance in your bedroom's decor. Handles & Hardware Two different styled hardware pulls graces the fronts of drawers and doors for a traditional appeal. Case Detail Embellished feet create a warm, traditional appeal and elegant touch. 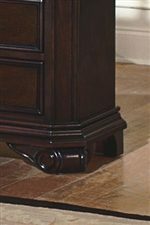 The Emilie collection is a great option if you are looking for Traditional furniture in the San Fernando & Los Angeles area. Browse other items in the Emilie collection from Michael's Furniture Warehouse in the San Fernando & Los Angeles area.